Revenue – In terms of revenue, INO did incredibly well in the first quarter. During the quarter, analysts predicted that the company would generate a total of $3.1 million in revenue. However, the company reported revenue of $8.1 million in the first quarter, more than doubling analyst expectations. 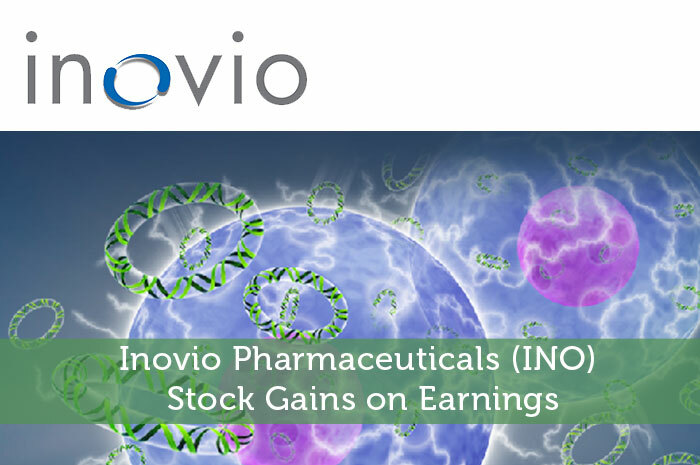 Earnings – In terms of earnings, INO did not disappoint. In fact, the company produced less than half of the loss that analysts were expecting to see. During the first quarter, analysts expected that the company would report a loss of $0.23 per share. However, according to the results released, the loss came in at $0.11 per share; well ahead of expectations. Key Announcement – Aside from financial data, a key announcement was made with regard to VGX-3100, a candidate that Inovio Pharmaceuticals is working on for the treatment of HPV-16/18 high grade cervical dysplasia. According to the announcement, following successful end-of-phase-II conversations with the United States Food and Drug Administration as well as the European Medicines Agency, INO will be starting phase III registration! As investors, we know that the news causes movement in the market, and in this particular case, the news was overwhelmingly positive. In the first quarter, Inovio Pharmaceuticals absolutely blew away earnings expectations. Also, the news surrounding VGX-3100 was overwhelmingly positive. As a result, we’re seeing strong movement in the market today surrounding the stock. Currently (12:03), INO is trading at $9.71 per share after a gain of $0.75 per share or 8.37% thus far today. Moving forward, I have an overwhelmingly bullish opinion of what we can expect to see from Inovio Pharmaceuticals. The reality is that the company is doing an incredible job of following through with the plans that it set fourth quite a while ago. With strong earnings, a great plan, and the desire to follow through with that plan, I’m expecting to see further positive movement on the stock moving forward. Where do you think INO is headed and why? Let us know your opinion in the comments below!